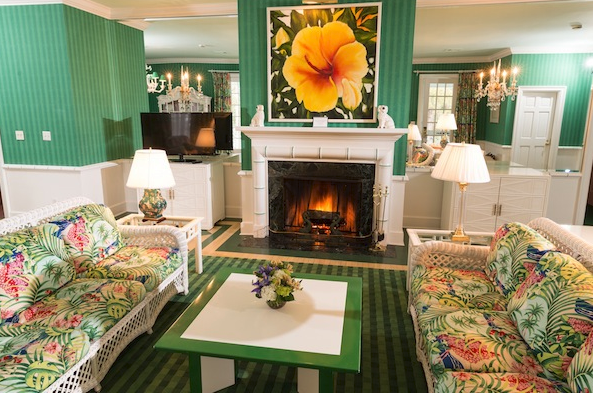 Located amid the breathtaking mountains of West Virginia, The Greenbrier is a National Historic Landmark and world-class resort that has been welcoming guests from around the world since 1778. This place is perfect for anyone, especially my fellow history buffs. 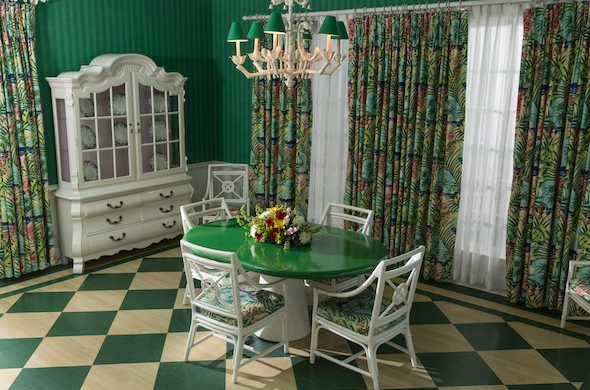 The Greenbrier has welcomed 26 Presidents; both Confederate and Union armies used the hotel either as a hospital or military headquarters; it was used as a hospital by the US Army during WWII; and it had a bomb shelter built on the grounds for the US congress in the 1950s. That's a whole lot of history. When I was growing up, my family always went to the same resort in Canada, just north of Toronto. That place was a lot smaller than the Greenbrier, but you get that same homey feel and attentive service. 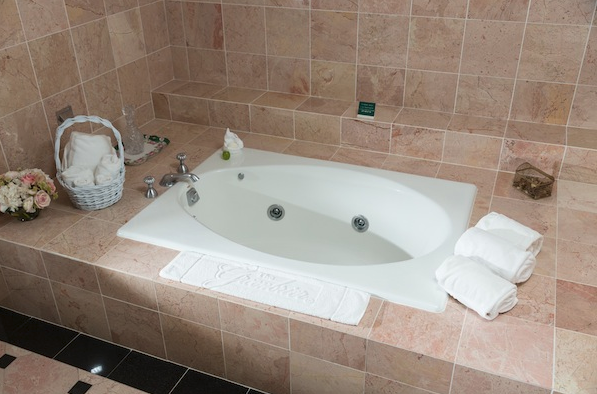 An impressive aspect of the resort are the accommodation options, there's so many choices! Whether you're staying in a room, suite, condo or a house, this really allows your family to grow into this resort. 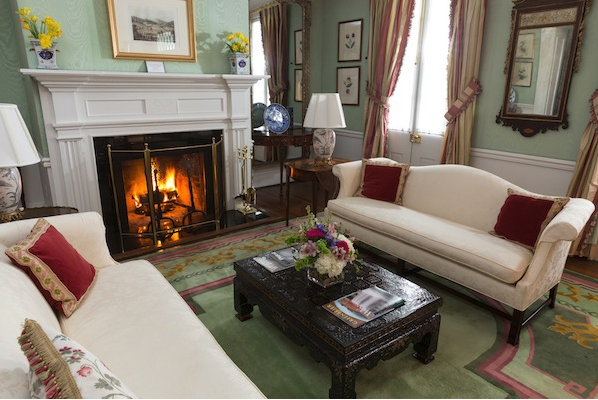 Whether you are staying for a weekend trip, a honeymoon or a friends trip, the Greenbrier has an option within the main building. Entry level would be the Gable rooms, which are 150 sq ft (us avg is around 325), so this would be perfect for a couple’s getaway. 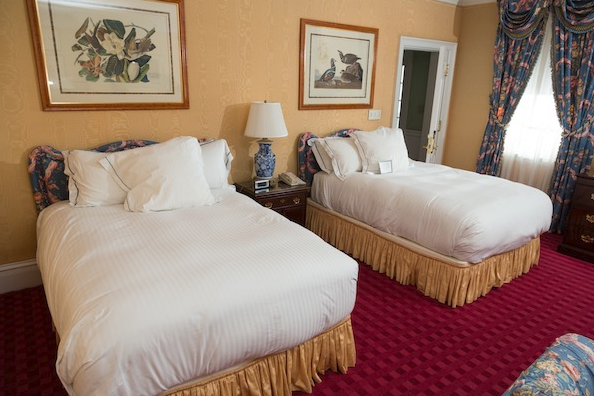 If traveling with kids, you could upgrade to a Traditional (250 sq ft) or superior room (400 sq ft). 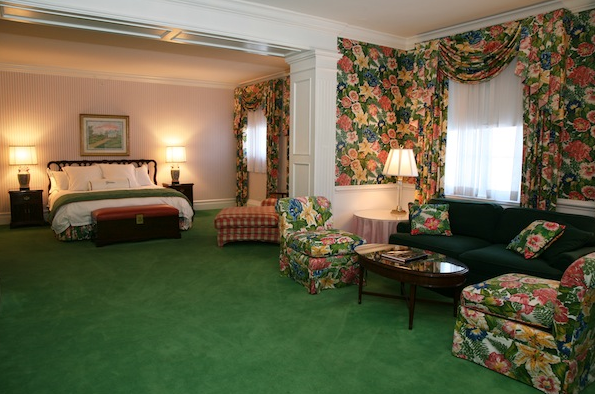 The Greenbrier also has a number of suites available, whether it’s a classic suite or one of the historic suites, you can’t go wrong. 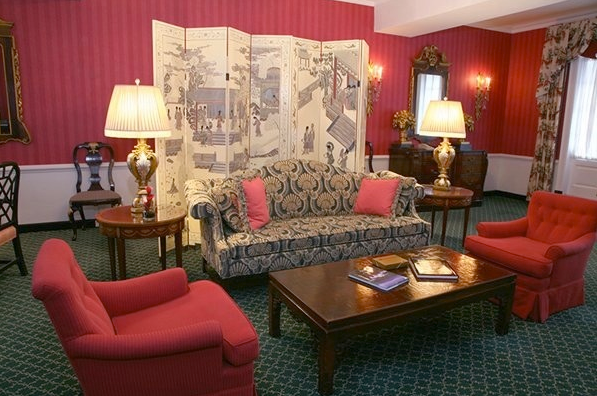 I think the most appealing to me is the West Terrace Suite with its rich oriental décor. Hosting a small gathering, this option would be perfect as it has a wonderful rooftop terrace. 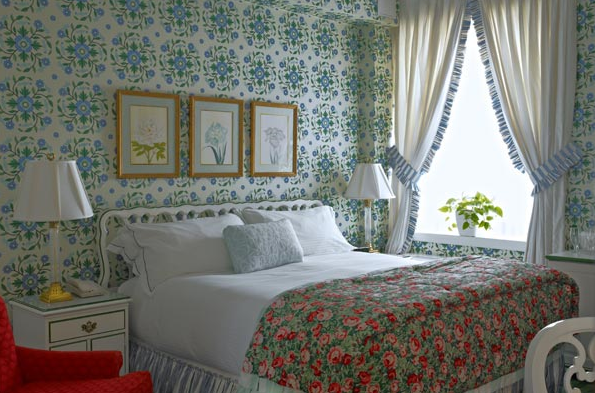 The cottages at the Greenbrier are ideal for those who want a little more space but still want to be near everything. The Copeland Hill cottages are located near the north entrance. It lies in a wooded area between the resort and the golf course. The other cottage rows are situated within the well-manicured perimeter of the resort. I think this would be a perfect option for a family retreat or if you have multiple children. Additionally, if your family is traveling with grandparents, it would be a fantastic plan to keep everyone together. It’s just nice to have a common area to meet to before heading into the day. If you need room, like a lot of room, you can rent one of the estate homes. While they come with a higher price tag, they offer an old world elegance unmatched in the region. 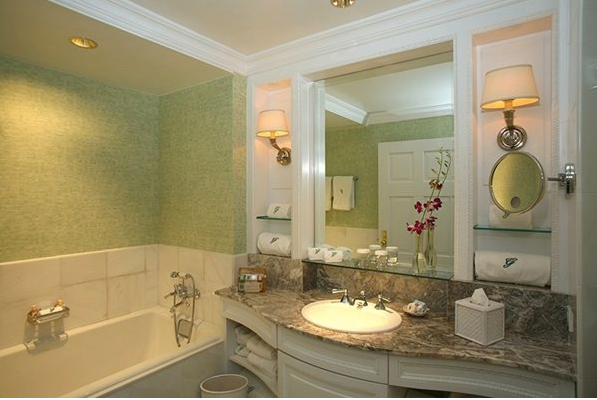 With homes ranging from 4 to 7 bedrooms, this option would be ideal for large families, reunions or special occasions. 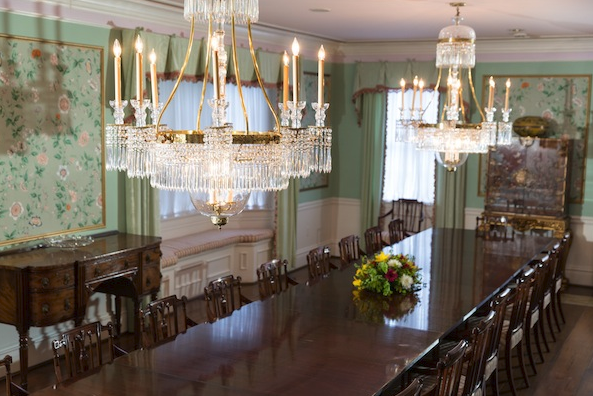 If you want to have a gathering, the houses can accommodate parties between 100 and 200 guests. If you're having a wedding, why not consider renting a house for the weekend for the whole bridal party, or maybe all sets of grandparents could stay together to really bond. Imagine sitting on the upper porch of the Colonnade Estate Home, looking out over the Greenbrier with the mountain backdrop. It’s absolutely beautiful. 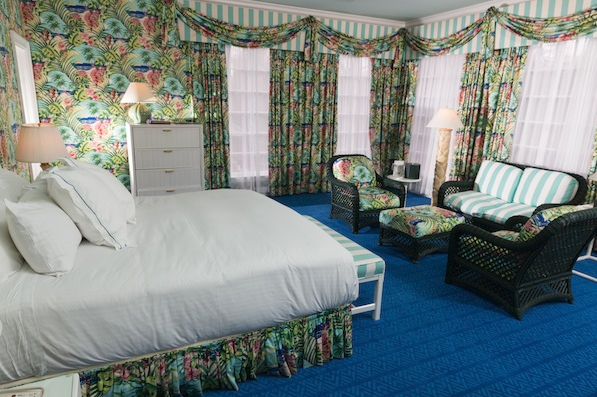 At the Greenbrier, the sheer number of activities are mind boggling. This resort has a little bit for everyone. I’ll cover just a few, starting with Golf. 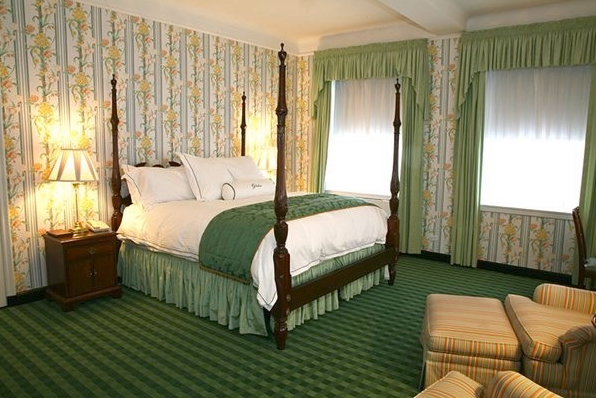 The Greenbrier is home to the Greenbrier Classic, a PGA Tour event held at the Old White TPC. This course is open to the public, so you can challenge yourself on a course that is played by the pros each year. The course currently costs between $100 and $250 depending on the time of the year, which I think is a steal for a PGA course. If you want history, you can play the first course designed and built in America, the Oakhurst Links, which opened in 1884. The resort has an additional 3 courses to explore. The outdoor infinity pool, heated to 80 degrees is the perfect place to come and cool off after a round of golf or hiking. Cabana’s are available to rent, as is the possibility to rent the pool after hours. I think the indoor pool is absolutely spectacular, and is open year round. Below is a list of the activities I found interesting, but if you want the full list head here. Alpine tower – weave through several paths as you climb the 55-foot tower. Children under age 10 must be accompanied by an adult. Opens early March and is $130/person. Bunker – This is a so cool, you can go on a tour of what use to be a secret government site. It’s a fallout shelter built under ground, and into a mountain. Spa – If you go to the ropes course, the spa might be the perfect encore. There are so many choices to discuss, I would suggest viewing all services here. 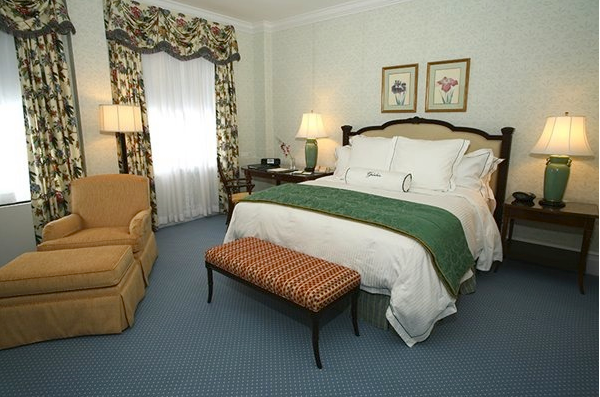 Tennis – If you’re into tennis, the Greenbrier has 5 Har-Tru outdoor courts and 5 Deco-Turf indoor courts. In addition to the courts and lessons offered, if you want to take in a mach the resort has the Center Court at Creekside. A 2,500 seat, state of the art stadium that has spectacular views of the surrounding area. Casino – whether you want to play one of the 320 slot machines or table games, they have it. Afternoon tea at 4:15 – This is an amazing time for kids or adults. You can bike, bowl, carriage rides, falconry, fishing, laser tag, horse backing riding, paintball and more. This is where boredom comes to die. 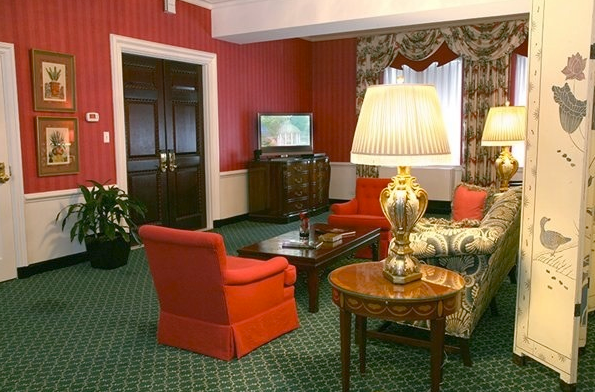 World class dining at your finger tips, this is what staying at the Greenbrier means. The list of restaurant on property includes a variety of cuisines with matching décor. If you're in the mood for jacket and tie fine dining, then you can head to the main dining room. If you would prefer something a little more relaxed, you could try Sam Snead's for steaks, pasta or seafood. In-Fusion offers cuisine from the Pacific Rim, and the Forum will satisfy any Italian food cravings. There's also a classic steak house Prime West 44. And as mentioned earlier, they do have event space, so a wedding here would be a magical option here. Starting with the first look at a wooded path, ceremony surrounded by mountains, and then dance the night away under the stars. What a perfect way to start your life together. I hope you enjoyed this hotel highlight! If you do end up going, please let them know that I sent you, and don't forget to subscribe!